The health board requested the review after it was criticised in a report by Health Improvement Scotland (HIS). It will be carried out by Dr David Dunlop, senior medical officer for cancer with the Scottish Government. NHS Tayside said dosages were lowered to reduce side-effects. It added that the risks to the 304 breast cancer patients involved were very small and it will now bring treatment into line with the rest of the country. A further expert group, led by Prof Aileen Keel of the Scottish Cancer Taskforce, is to “fully consider all of the report’s individual recommendations and how they can be best delivered”. The group’s findings are expecting to be presented in June. 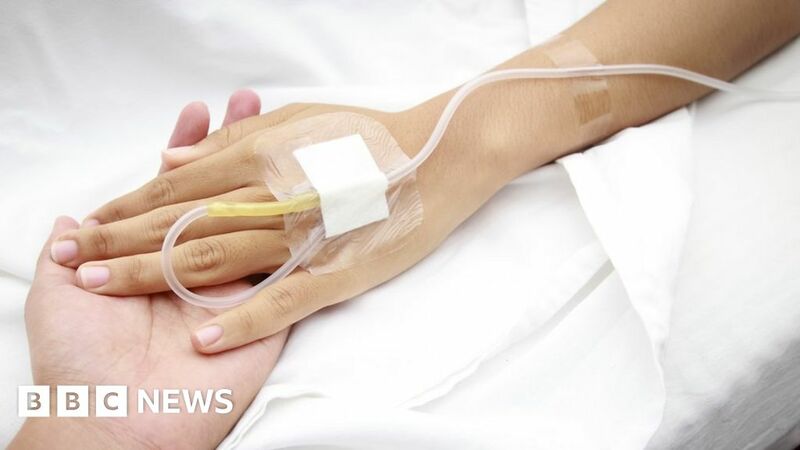 A spokesman for NHS Tayside said, “As part of our response to the HIS report which was published on Monday, NHS Tayside asked an independent expert to review the breast cancer chemotherapy treatment of 14 patients who have died. Lee Dennis, began treatment for breast cancer almost two years ago. She one of the 304 patients contacted by NHS Tayside earlier this week. “The first notion that I had that my treatment was in anyway different from anyone else’s in any other treatment centre in Scotland was receiving a letter at the beginning of this week,” she told BBC Scotland. “It stated that from December 2016 until the 31 March this year, my particular regiment of chemotherapy had being knowingly under-dosed, outwith national guidelines. “I actually had to read the letter twice when I first opened it because I was not really sure what I was reading. Mrs Dennis said the letter stirred the same sort of emotions she felt when she was diagnosed with cancer. “It instils a massive sense of fear, of distrust, of anxiousness and worry,” she said. While nothing is certain, Mrs Dennis’ treatment worked. She is now waiting for another doctor’s appointment. HIS were called in after a whistleblower raised concerns over chemotherapy treatment in NHS Tayside. The watchdog found that from December 2016 onwards, the dosage of docetaxel given to breast cancer patients was lower than in any other Scottish health board area. It also found that patients were not told their treatment was different. According to the report, the health board perceived that the higher dosage “is not well tolerated” by its patient population. An NHS Tayside audit found “unacceptable rates of neutropenic sepsis”, a life-threatening complication of cancer treatment, the report said. HIS recommended the health board keep patients informed where “routine practice is different from that supported by the wider oncology community”. Patients who are affected are being offered an appointment with an oncologist to discuss their treatment. A Scottish Government spokesman said: “Independent expert support is already involved. “NHS Tayside have appointed an independent expert to review the treatment of the patients who died and will be sharing the findings with their families as a result of the Healthcare Improvement Scotland (HIS) review.